Ziptales ... fun for young and old! 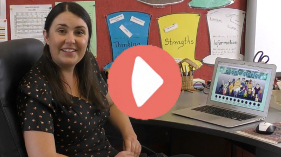 Meet Claire who will talk to you about how Ziptales fosters a love of reading. Meet Reba and Zara, who will explain how Ziptales relates to your specific class level. Ziptales is an online literacy website, custom built by digital publishers with a background in teaching. Its primary aim is to make reading an enjoyable experience. Too often, children are reluctant to read because they see it as ‘too hard’ or a ‘chore’. The Ziptales mission is to make reading fun for all primary age children. We offer over 550 modules of educational content. 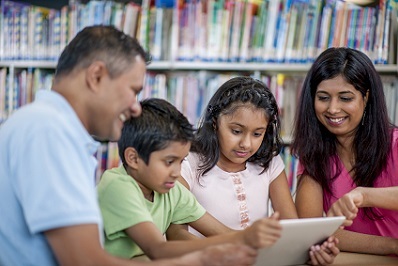 The online resources are broken up into a ‘Preschool’ section (ages 3-5), a ‘Developing Literacy’ section (Foundation/Prep to Year 2, ages 5-8), and an ‘Extending Literacy’ section, (Years 3 to 6, ages 8-12). Ziptales contains a very large ‘library’ of over 300 stories. The stories are all completely original, written by professional authors with a strong interest in education. They are written to give pleasure. The Ziptales editorial team selects only those stories with an effective narrative arc - stories that give children a great ‘pay off’ narratively. All stories are suitable for children, both in terms of age appropriateness, and high ethical standards. The stories range from very simple texts at the beginner reader level, up to sophisticated narratives for older children. Ziptales uses a unique 10 stage reading scheme, referencing the three major international readability measures Reading Recovery, Flesch and Lexiles. 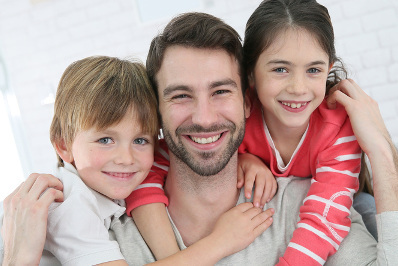 A simple five minute test will establish what stories a child should be reading. As well as the reading library, Ziptales also offers over 200 literacy or curriculum lessons. 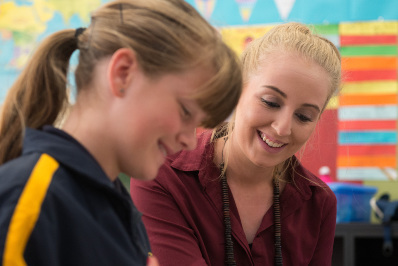 These are to be found in the Specialised English Lessons repository (150 lessons on all aspects of the curriculum) for all primary levels, Skill Builders (lessons on grammar, punctuation, spelling and comprehension) and Write Time (explicit instruction on how to write a story, an argument, a recount, etc). 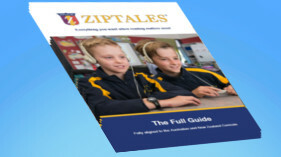 All Ziptales content is aligned to the National Curriculum and is designed for school, home and library use. For more information on all that Ziptales has to offer read through our online manual, ‘Ziptales - The Full Guide’ or take a FREE trial today!